Intisar Abioto is an adventurer, dancer, photographer, writer. Originally from Memphis, TN, she made her way to Oregon in 2010 with her family of four sisters and her mom, all artists. Her work is an active exploration of life through arts, storytelling, and adventure. Her unique form of story inquiry as a way of life has taken her from Memphis to Morocco to Djibouti, seeking the authentic stories of people within the African Diaspora. 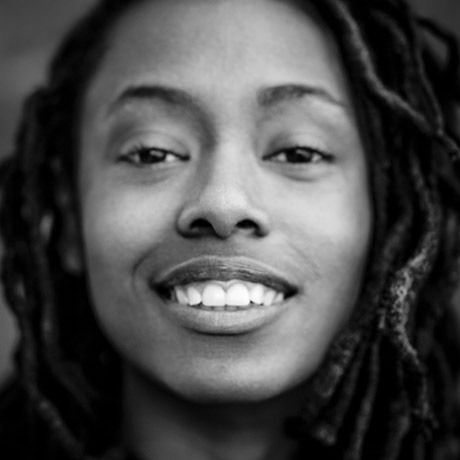 In 2013, she began photographing The Black Portlanders, an ongoing photo essay and blog. It is a cross-modal arts adventure which images people of African descent in Portland, OR. Along with her four artist sisters, she is the co-creator of The People Could Fly Project. They turned Virginia Hamilton’s award-winning book, The People Could Fly, into a 200,000-mile flying international arts expedition. Intisar swears by the true life and love that can be found in fantasy, folklore, language, and movement. She makes her home in Portland, Oregon and her adventure… everywhere.